5 marvellous modern homes ... and their kitchens! 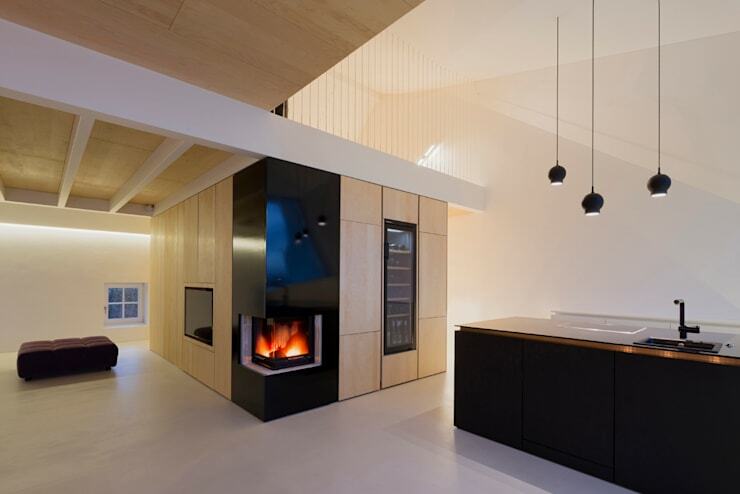 5 marvellous modern homes… and their kitchens! When it comes to planning the construction of your house, you need to take into account even the smallest detail. This is particularly important when planning the kitchen. It is no coincidence that we are talking about a room that is truly the heart of the house. In this space, we prepare a variety of delicious dishes that feed and nourish our families. And while we all may come together in the more formal dining room, the kitchen is where all of the action occurs. This is why it is extremely important that the kitchen not only dazzles in terms of aesthetics, but that it's incredibly functional too. Today, to show you how many options exist, we are going to look at five modern houses and their kitchens. We hope that they will inspire you when it comes to creating your own! 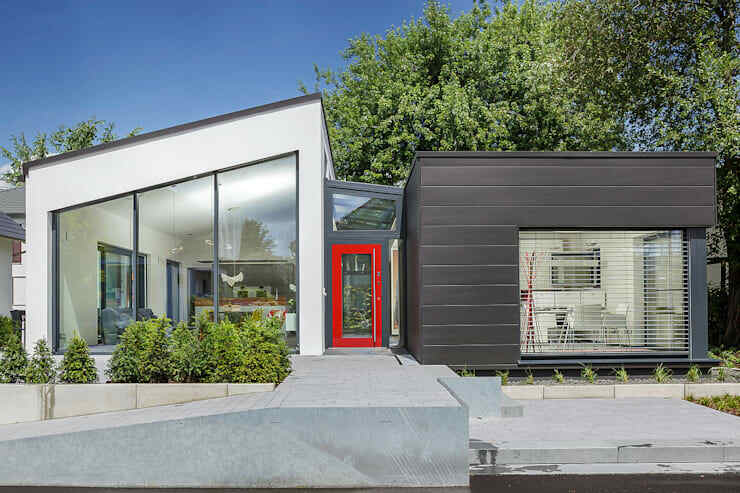 The first house we look at is a modern bungalow. This type of home is very popular and is currently experiencing a renaissance! These designers have improved the original concept slightly, introducing a whole new structure that features glazing throughout. This ensures that the interior is bathed in warm sunshine throughout the day. Do you see how the two different structures are connected by an original corridor, which features a stylish red front door. The kitchen located in this home radiates a positive aura. 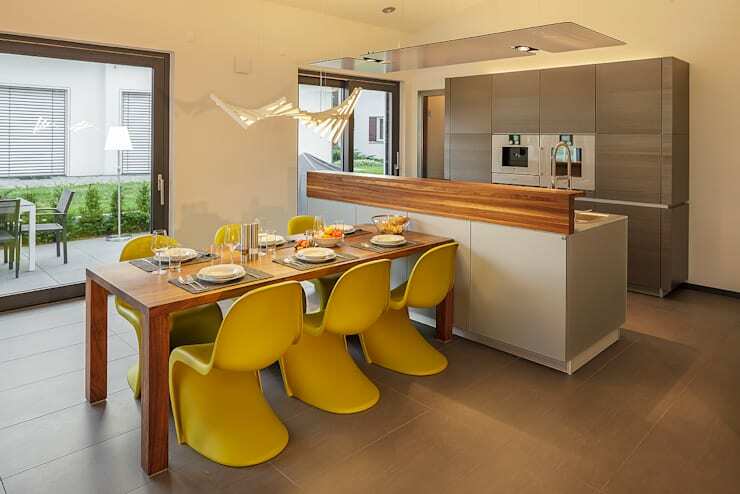 This effect is achieved through the use of natural light, neutral tones and energetic yellow chairs that inject the space with cheerfulness and colour. Pay attention to the fact that these designers have not separated the kitchen and the dining room, creating a very spacious and interactive home. 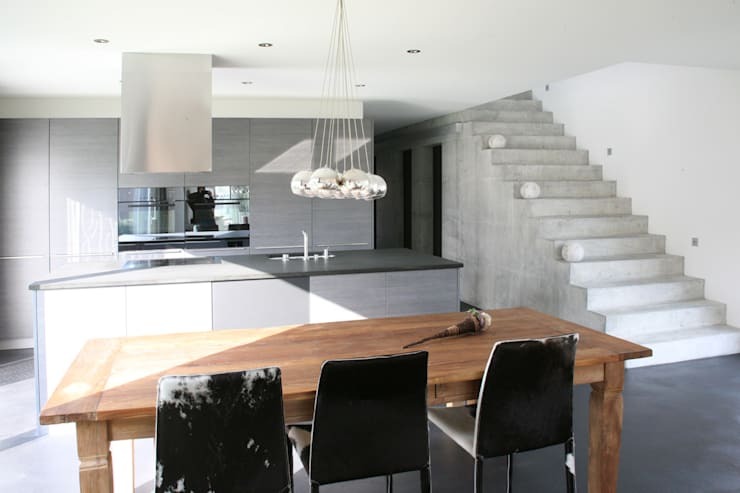 Concrete is a very fashionable material in recent times and can be used for both the interior and exterior designs, creating a modern architectural masterpiece. This material is especially appealing to those who love industrial style design. Architects skizzenROLLE have gone for a simple shape, but have used two shades of gray to create a stylish look and feel. The kitchen is located just inside this intriguing building and is incredibly elegant. It features a minimalist design in several shades of gray, which works in harmony with the silver accents. Don't you love the designer lamps? The cabinets and drawers ensure that there is plenty of space, keeping this area of the home neat and tidy. The third house really impresses! The designers have used timeless colours that create a very trendy yet classic home. You'll notice that large glass windows feature throughout, creating a very modern home. The garden enhances the facade flawlessly. Don't you think the overall impression is very romantic? If you are looking for a simple way to ensure that your kitchen features a large dose of freshness, this is a great option. By combining white and natural wood, you create a very harmonious and peaceful space. This is also a classic design that will last for many years to come! Tip: A wooden floor creates a very warm and cozy environment. 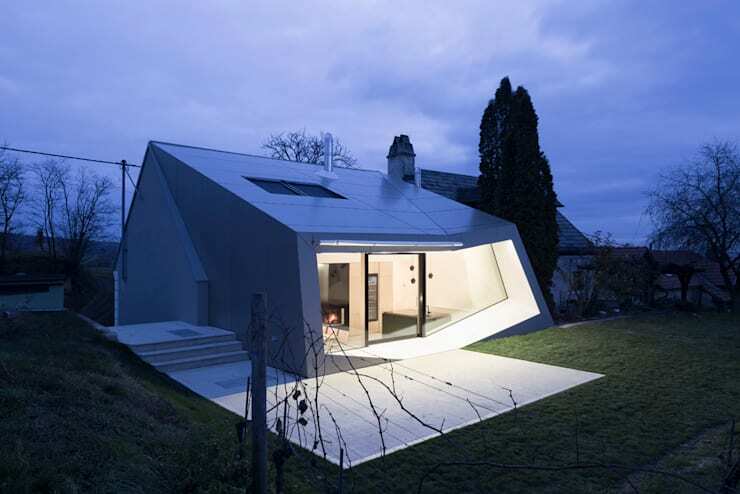 These architects have created a very original and unique home. It looks like it comes out of the future. With its unique shape and sleek materials, this is a piece of architecture that is designed to turn heads. Are you looking for ways to have a convenient futuristic kitchen too? Then you have to install a stylish kitchen island! Here we can see how the space has gained functionality as well as a gorgeous aesthetic appearance thanks to the kitchen island. The black and wood tones are also effortlessly simple yet striking. 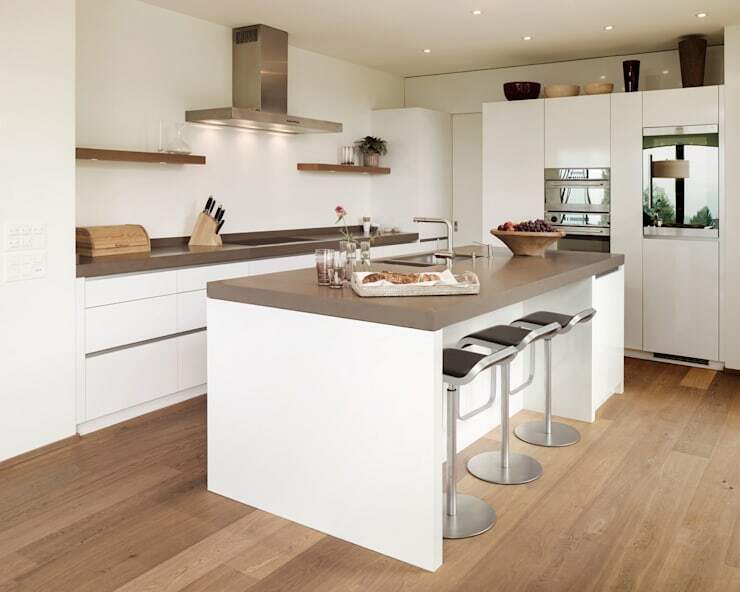 Have a look at these kitchen islands to treasure for inspiration! Modern architecture has its own rules. 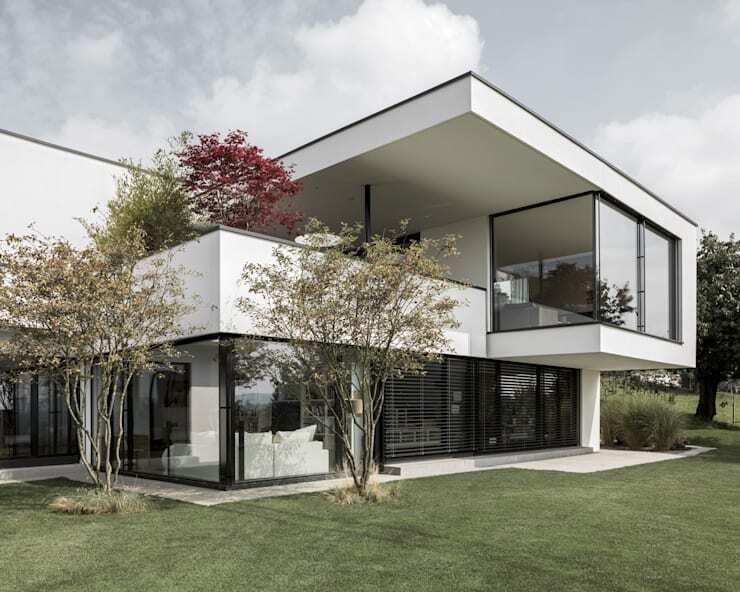 One of the elements characteristic of a modern home is glazing. 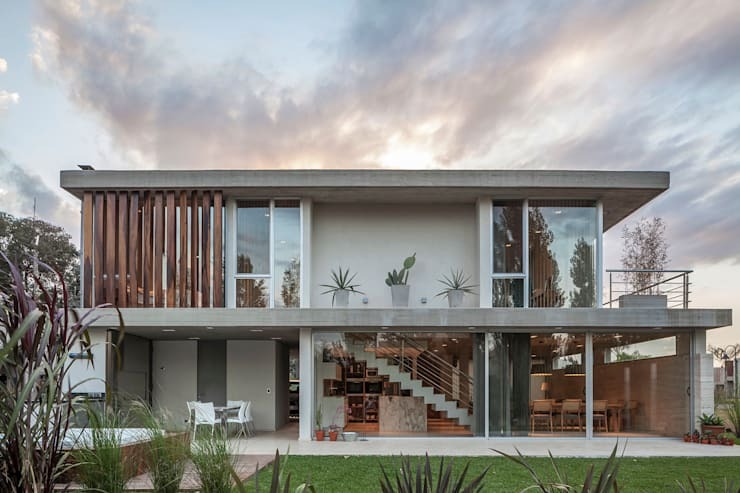 This allows for a stunning connection between the interior and exterior spaces and gives those of us looking in from the outside a little glimpse into the design perfection. 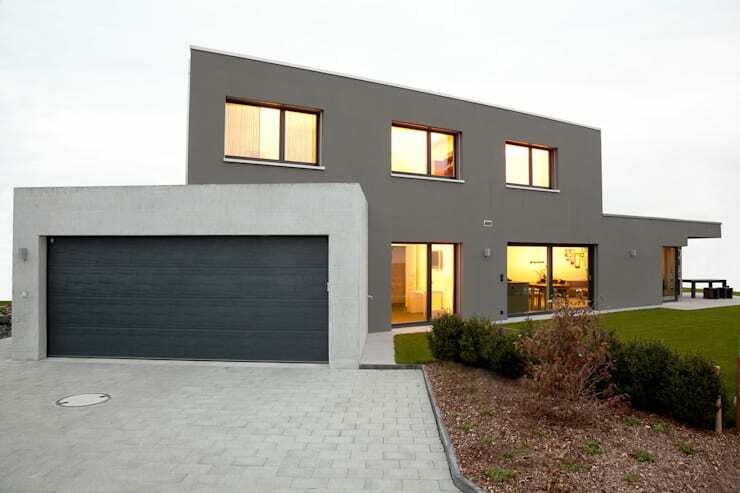 Here we can see how the glazing works in harmony with the cement structure for a very unique look and feel. Looking at this kitchen arrangement, we can easily fall in love. 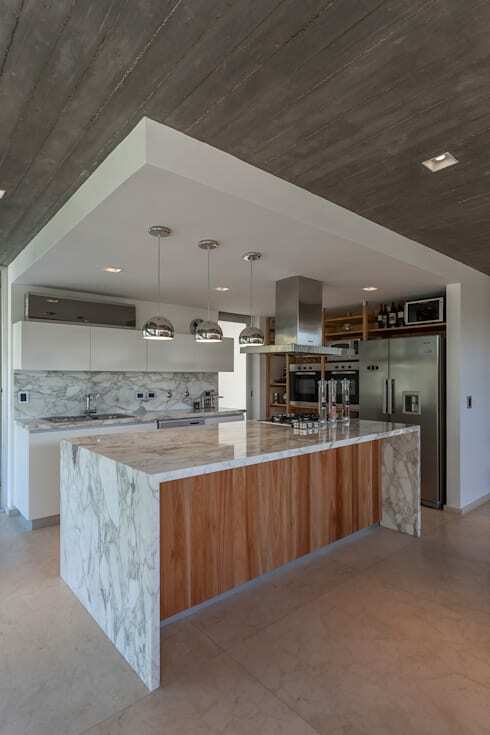 This space features wood, concrete, marble and stainless steel – an unusual blend that catches the eye. This is truly a luxurious kitchen space where only the most sophisticated of dishes could possibly be prepared. If you've enjoyed this article, you'll love this one too: 10 tips to give your kitchen a modern look. Which modern kitchen and house would you like? They don't have to be from the same project!